This three bedroom, two bathroom Victorian property was in dire need of an update. The ground floor was narrow, dark and cluttered, with a counterintuitive layout: the small kitchen was compacted into the middle of the building and didn’t feel like a fun place to hang out. There was also an underused bathroom tacked onto the rear of the property, which took up valuable space. 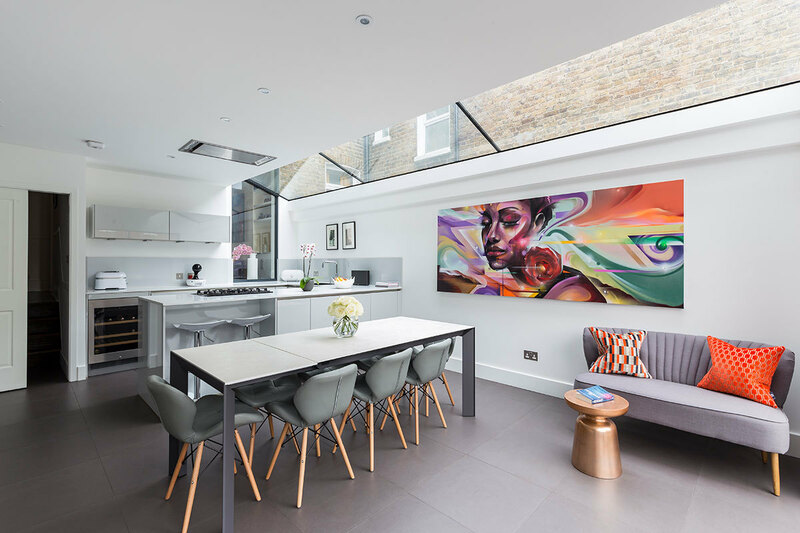 Our client was keen to add a ground floor side return and reconfigure the floor plan to create a bright and airy multi-purpose kitchen/living room. They challenged us to deliver stylish details that would allow the maximum possible amount of light, with a seamless transition into the garden for summer entertaining. 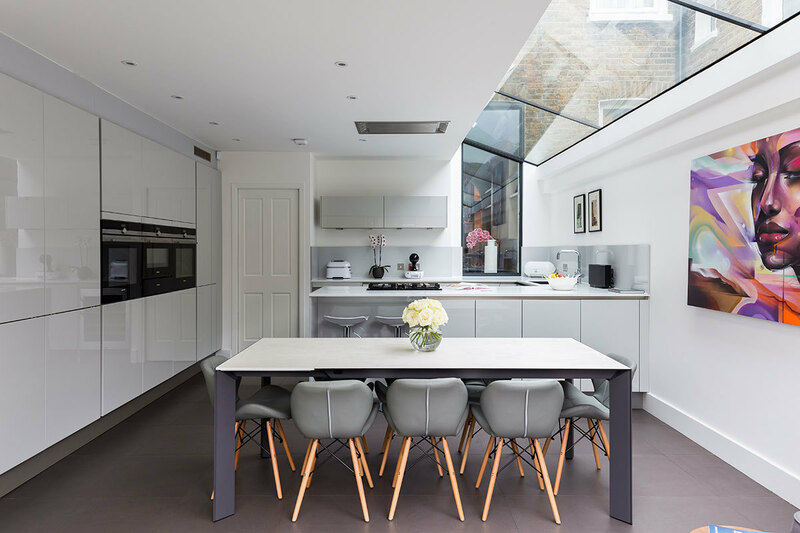 As their ideal side return was bigger than the dimensions specified by the larger home extension scheme, their plans didn’t fall under permitted development rights. After putting together a planning package, we successfully applied for planning permission on their behalf. The client opted to add on 3D renders, which helped them to visualise the perfect fixtures, fittings and details for the interiors before they started building. 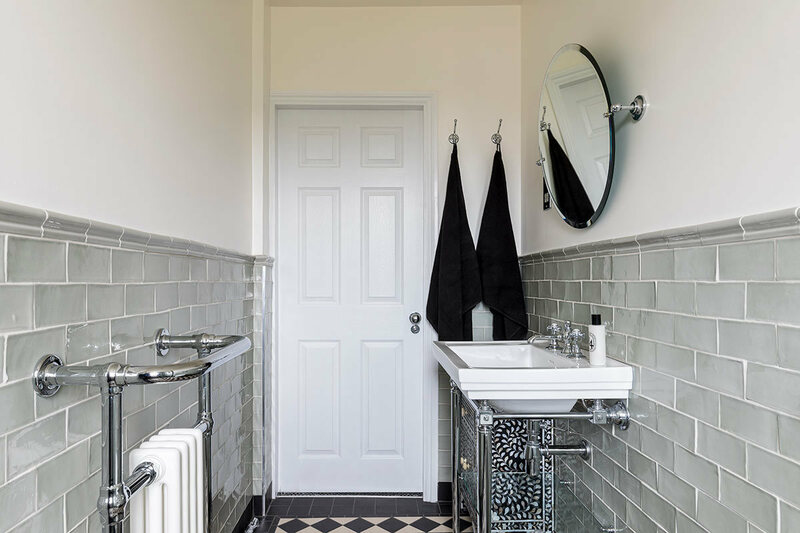 Based on similar projects, we were able to suggest a few extra value-adding features during the design process, including the addition of a compact utility room and WC. These additions ensure that the main room will stay decluttered and focused on fun, rather than function. As a unique touch, we introduced a glazed panel to the supporting wall between the kitchen and front room. This allowed the large skylight over the side return to brighten up the entire ground floor, not just one room. 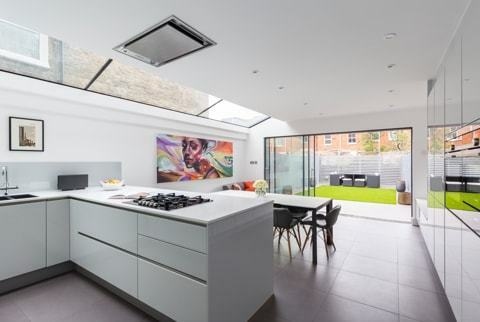 In total, our clients had a total budget of around £120k for this project, which mostly contributed to high end, ultra-streamlined appliances and finishes. They were thrilled with their striking, modern kitchen; perfect for sharing meals with family and friends for years to come. 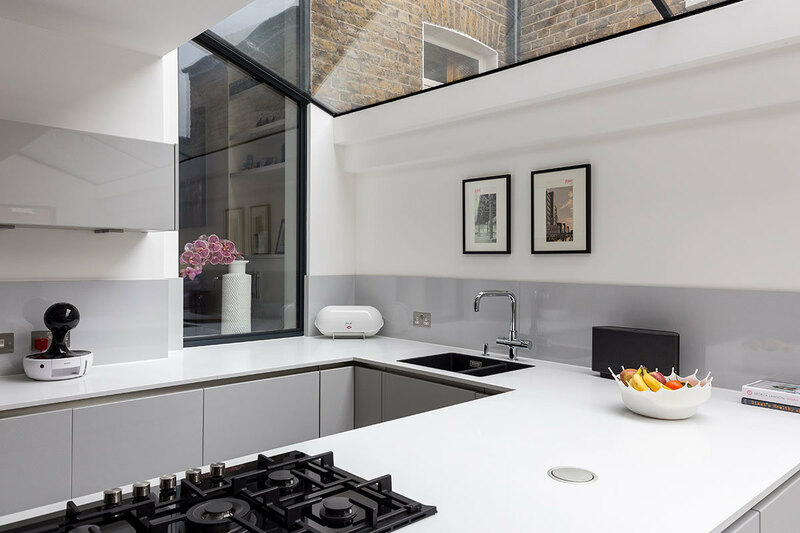 You should consider using this case study for building inspiration if you live in a Victorian terrace property. A ground floor side return can be a great way to create a kitchen big enough for a large family, without eating into garden space. 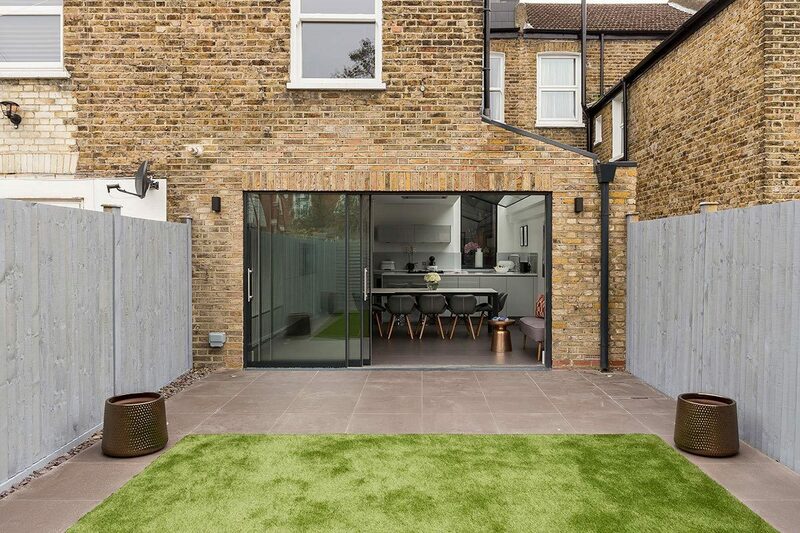 Top tip: before you build, make sure you discuss with your neighbours if they would be interested in extending their kitchen in the same way in the future. 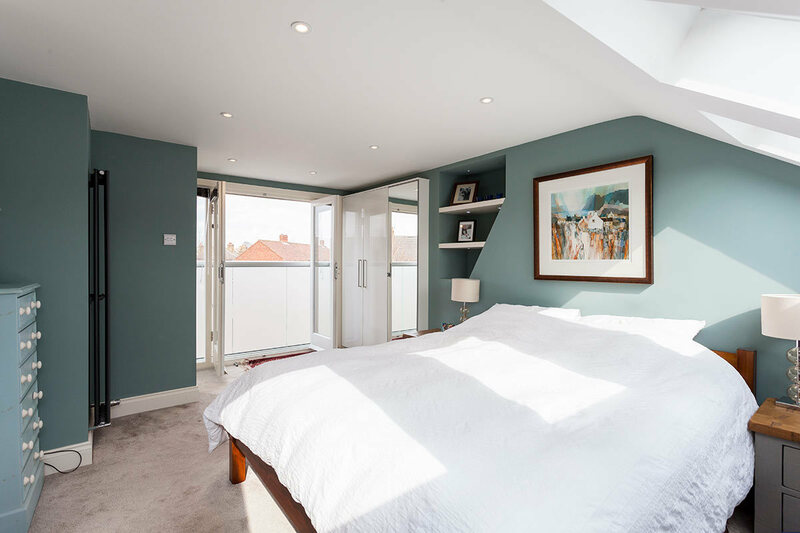 You may be able to build a party wall along your property boundary, which will provide you both with the maximum possible internal space, as well as potentially reducing costs.